Windows, get your Sling on! Santa Claus may not be due to slide down the chimney for another 12 days, but the elves at Slingbox are bringing a little holiday cheer to PC and tablet users on the Windows platform. Sling Media has announced the release of SlingPlayer for Windows 8, a native media player app first announced last month and now available for PC users running Microsoft's operating system. Available globally from the Windows 8 Store, the SlingPlayer app offers a unified experience across all Windows 8 devices, including laptop or desktop computers, convertibles and tablets. 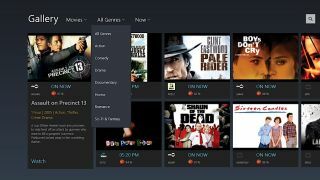 Although Intel-powered Windows 8.1 devices could previously access Sling's web-based player, the Windows 8 app delivers support for ARM-based Windows RT devices like Surface 2 and the Nokia Lumia 2520. SlingPlayer for Windows 8 works equally well with a mouse or fingers, thanks to the touch-enabled user interface that offers universal support for all gadgets. The app also includes an intuitive gallery view in keeping with the look and feel of other Windows 8 apps for easy discovery and navigation of live or recorded programs. Should you need another incentive to upgrade to Windows 8.1, the SlingPlayer native app is as good as any, since it requires the latest version. SlingPlayer for Windows 8 offers a free 24-hour test drive and is priced comparable to other versions at $14.99 (about £9.20, AU$16.72); a separate version is also available for Windows Phone 8 devices. No luck buying an Xbox One yet? Check out our extensive review instead!